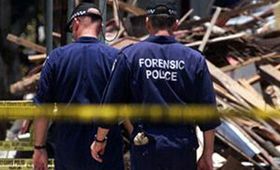 INDONESIAN authorities remain on high alert for a terrorist attack on the 10-year anniversary of the Bali bombing that killed 202 people, including 88 Australians, although fear of an imminent threat has eased. Prime Minister Julia Gillard, Opposition Leader Tony Abbott and former Prime Minister John Howard are expected to attend the service as thousands pay their respects at memorials on Friday. ABC News reported Bali's deputy police chief Brigadier General Yoga said on Wednesday there was intelligence suggesting a serious threat to visiting VIPs, but has now said there was no specific threat. Both Ms Gillard and Mr Howard told ABC they still planned to attend.